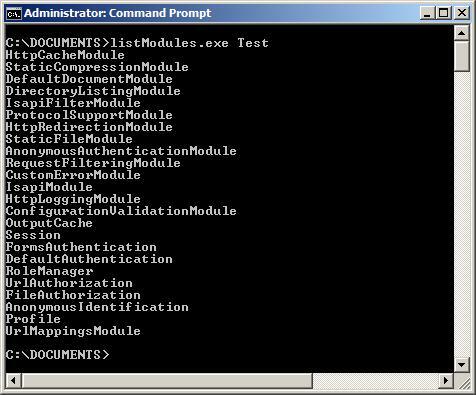 This example shows you how to enumerate the enabled modules for a choosen website. It uses the Microsoft.Web.Administration class, which provides all the necessary classes for configuring and administrating IIS 7. For additional information, see comments inline, and the System.Web.Administration reference (link at the bottom). You need to run the application as a user with privilegies to access the configuration files.